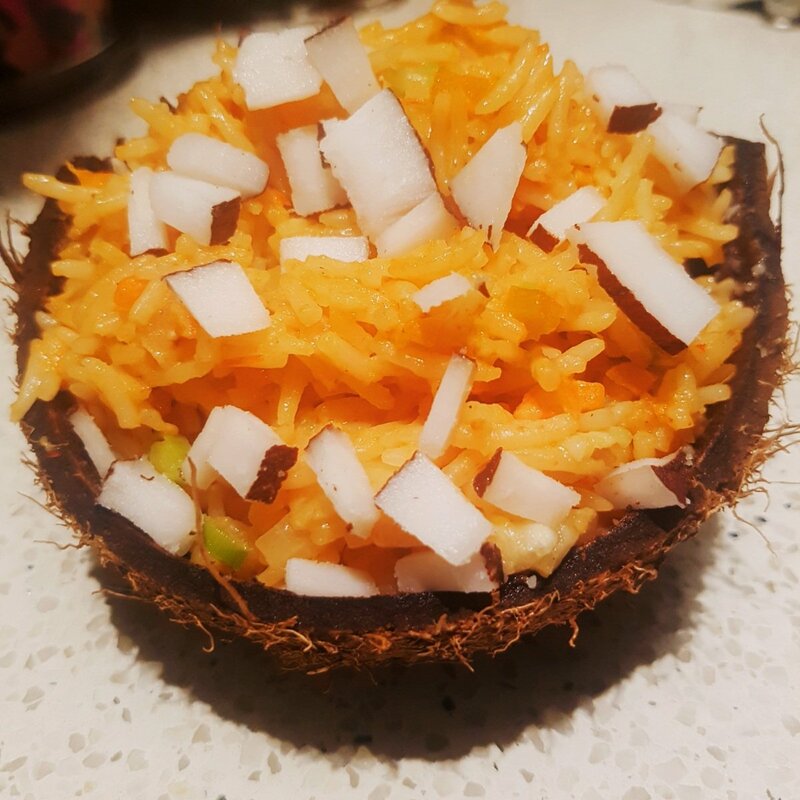 My love for coconut is a long story . 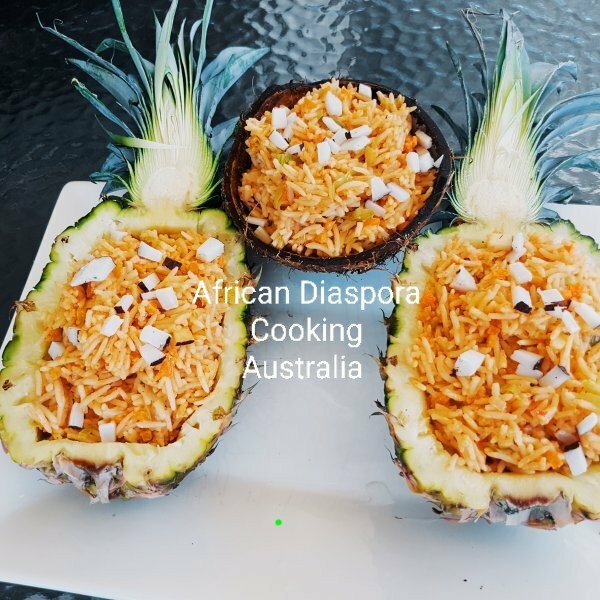 To cut a long story short, I bought coconut and pineapple then decided to give my jollof rice an exotic touch, I Diced my pineapple and blend some to use the juice in my cooking. I did exactly the same with my coconut. Wash your rice with warm water and set aside. Pour some coconut oil in a pot and fry your diced onion. Add tomato and capsicum paste and fry properly. 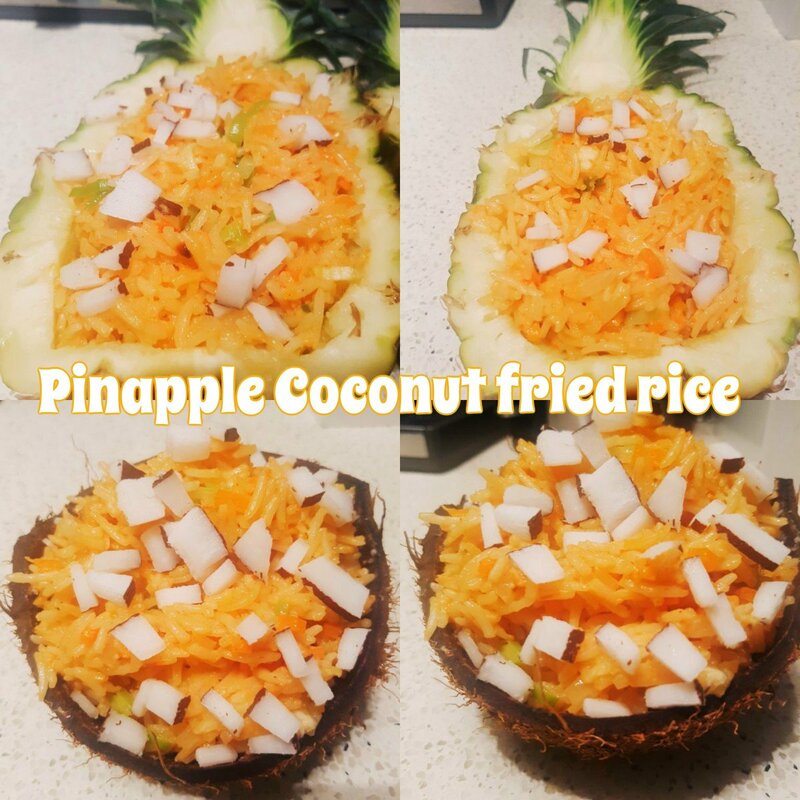 Add coconut cream, coconut water, salt , stock cube and chicken stock and stir. Add rice stir and cover to simmer for 12 mins. 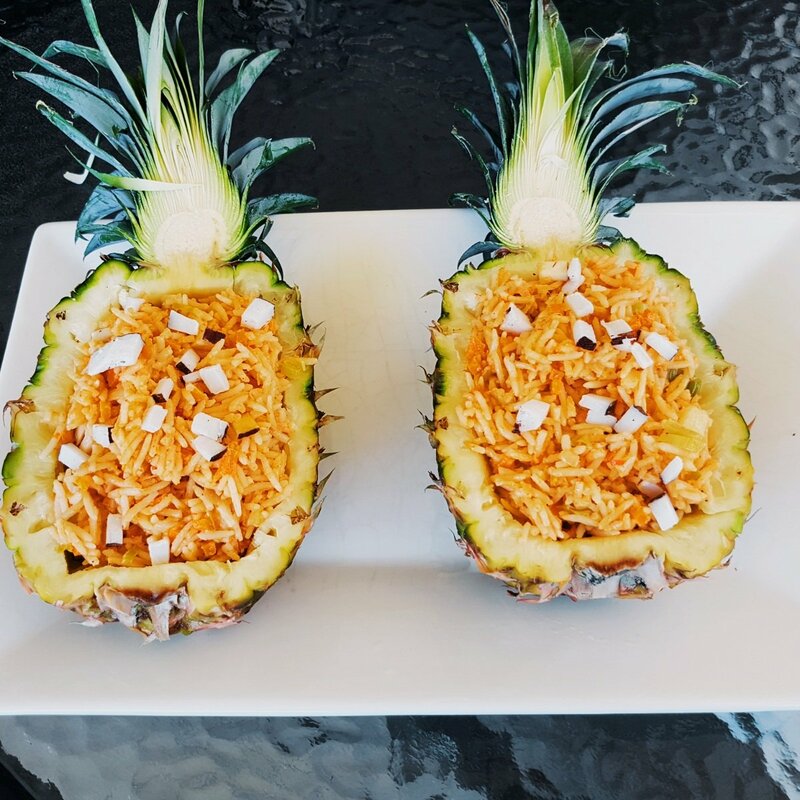 Serve in coconut shell and pineapple shell. Thanks for watching. 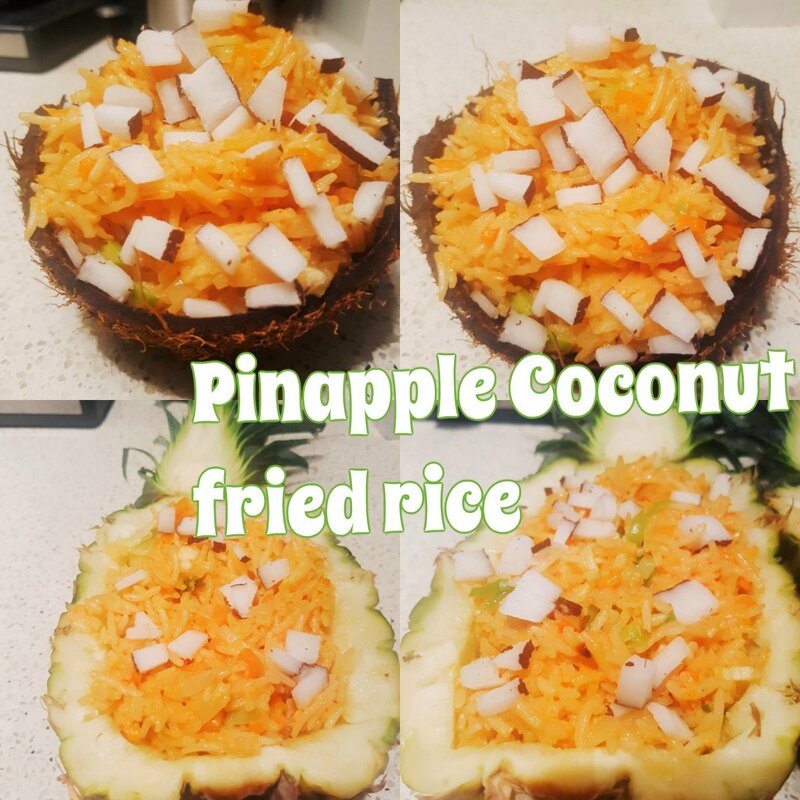 Let me know how your own coconut pineapple rice turned out.